The move follows not only the company’s April commitment to the US-based SolarWorld Americas — one of the two companies involved in the Section 201 trade case that led to the Trump Administration imposing tariffs on imported solar cells and modules in January — but also solidifies the company’s decision to re-enter the US solar manufacturing business following the September announcement that SunPower’s interdigitated back contact (IBC) solar cells and modules would be excluded from the aforementioned Section 201 import tariffs. SolarWorld Americas resorted to seeking trade support because, as it said in October of 2017, it wanted a “four-year relief program” which would “address the serious injury inflicted on US solar cell and module manufacturers, and to ensure that the US solar industry as a whole, including downstream consumers, remains viable and a global leader in solar energy.” This argument had already been smacked down by the Solar Energy Industries Association (SEIA) earlier in the year and was further diminished by the SEIA in its own filing to the US International Trade Committee. 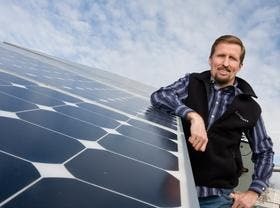 Announced on Monday, SunPower revealed that it had completed the acquisition of “certain assets of SolarWorld Americas” which included the company’s Hillsboro, Oregon, facilities which includes one of the largest solar manufacturing facilities in North America. According to SunPower, the company has also already injected fresh capital into the factory as it plans to begin manufacturing its high-efficiency P-Series solar panel manufacturing technology there. Product shipments of SunPower’s P-Series from the Hillsboro facility is expected to begin by the first quarter of 2019. The announcement comes a fortnight after the Office of the US Trade Representative had filed with the Federal Register office a decision that certain interdigitated back contact (IBC) solar cells and modules would be excluded from the Section 201 solar tariffs. As a result, SunPower’s own IBC solar cells and modules would be excluded. “With today’s decision that SunPower’s highly differentiated IBC cells and modules are excluded from tariffs, we are able to turn the page,” said Tom Werner.